POWER™GREASE NLGI #2 - Dropping Point 530 deg. 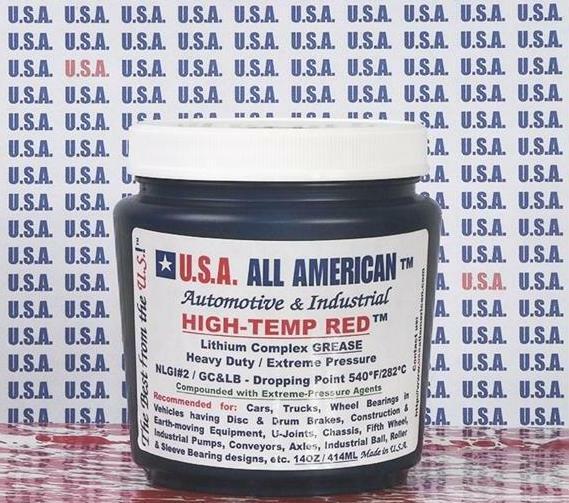 F.
HIGH-TEMP RED™ NLGI #2 - Contains MOLY - Tacky Smooth RED Grease - Dropping Point 540 deg. F.
Cleans Carbon, Grease, Solidified Grease, Gelled Oils, Specialty Lubes, Teflon Dust, Pipe Varnish, Tube Turn Coating, Paraffin, etc.